See Our Exclusive Limited Time Special Offers! At Windows Hawaii, we offer our services in exterior home improvement. We offer the most realistic siding materials created through a perfect imitation of the natural materials. In addition to high quality product expertise, we provide customer satisfaction. Our reputation as a top siding manufacturer is a direct result of our customer’s satisfaction. Customize your dream home with our wide variety of products, and differentiate yourself from your neighbors. What an uninteresting world it would become if every house looked the same. 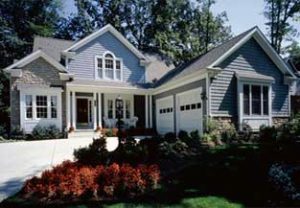 At Exteria, we encourage the expression of your home’s desire through the use of Exteria siding products. Bring in the beauty with Windows Hawaii… Oahu's ultimate replacement window and door company. Windows Hawaii Provides New & Replacement Windows, Entry Doors, Patio Covers, Sunrooms and Exterior Siding throughout Hawaii.